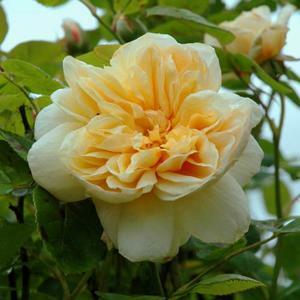 Beautifully formed, strongly scented double flowers of soft yellow-apricot. Free flowering and repeating through summer. Upright bushy habit, semi-glossy mid-green foliage, good disease resistance. Raised by David Austin, UK, 1990, named after the breeder's daughter in law.